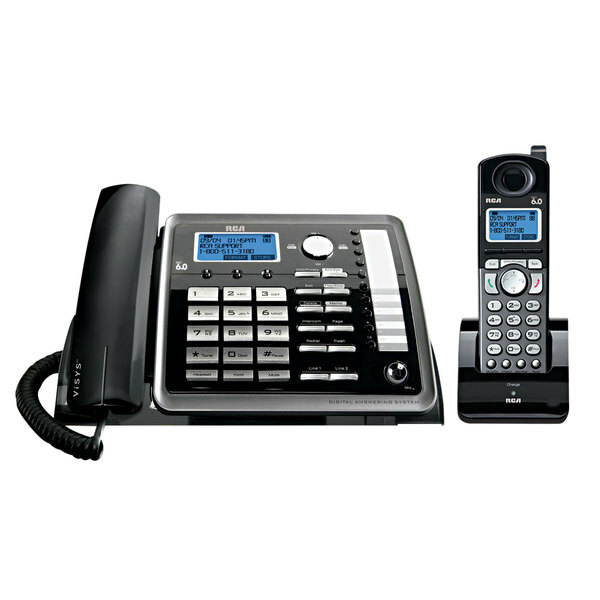 Offer multiple lines with this RCA 25255RE2 ViSYS 2 line black / silver corded / cordless phone / answering system. 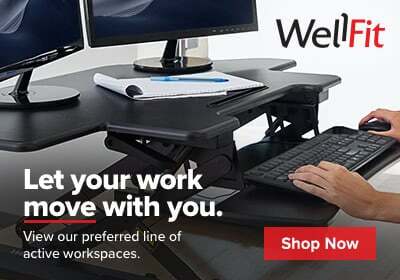 The phone has 2 lines making it perfect for small to medium sized businesses. Equipped with caller ID and call waiting features, you can manage your time without worrying about missing important calls. For those times you truly need silence, you can set the phone to do not disturb with the confidence that any messages will be routed to the answering system. The answering system can store up to 60 minutes of recorded messages. Each phone also has a speakerphone making it perfect for hands free calling or typing notes during a call. This telephone comes with a corded handset, cordless phone, and answering system. The telephone system wirelessly connects to the corded and cordless telephones. It can even be expanded to up to 10 additional RCA two-line telephone devices with no additional phone jacks! Each system also has 10 one-touch speed dial, voice mail waiting indicator and intercom with a page and find option. Due to US DOT shipping regulations, we are unable to ship this product to Alaska, Hawaii, and international destinations. It is also ineligible for next day or second day shipping. This unit comes with a NEMA 5-15P plug.